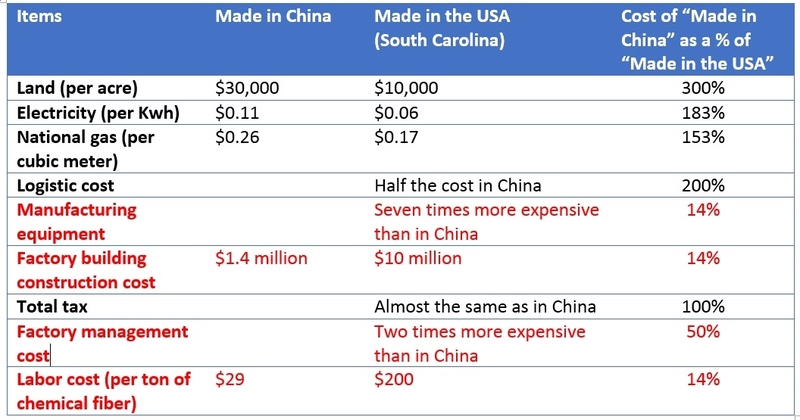 Author Sheng LuPosted on May 14, 2017 May 15, 2017 Categories International Trade, Textile industryTags China, cost, investment, made in USA11 Comments on Cheaper to Make Textiles in the United States than in China: Reality or Myth? 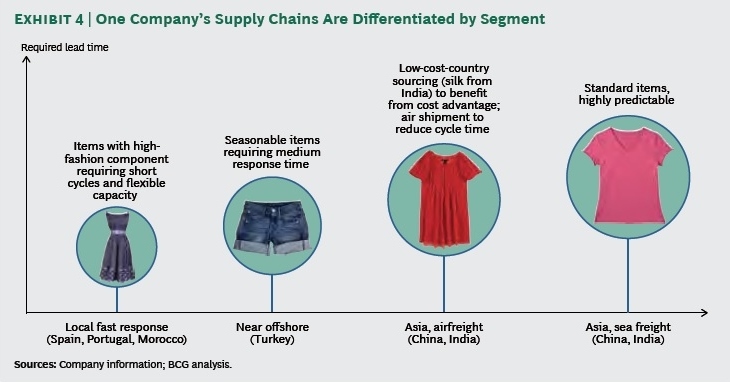 While most discussions on improving corporate social responsibility practices in the apparel industry still focus on conventional solutions like higher labor standards and more effective monitoring programs, a recent Boston Consulting Group report suggests supply chain innovation also has its role to play. Innovating ways of production. The report suggests that bonding and gluing technologies (i.e. use bonded adhesive films and processes such as ultrasonic heating and high-frequency radiation to fuse together layers of fabric) can produce an entire small garment in 30 to 40 percent less time than conventional cut-and-sew. Digital technologies such as digital prototyping of textile designs can also significantly help apparel makers reduce waste and boost efficiency in pattern making. The potential application of 3D printing may further allow apparel makers to produce smaller batches, and possibly even allow for made-to-order production of individually designed and sized garments. This would not only allow companies to match the market’s growing need for speed, but also reduce the costs of retail inventory surpluses and associated price reductions. First, much attention has been given to the changing business environment of the apparel industry, such as rising labor cost in Asia, shifting market growth towards emerging economies and more sophisticated consumers’ demand in the era of omni-channel retailing. 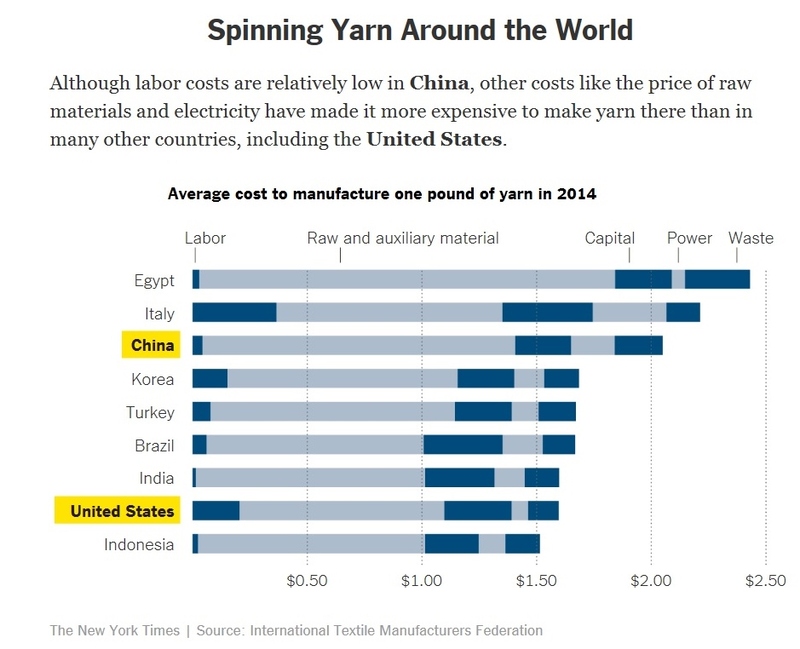 But what if the nature of the apparel industry is also changing: if one day labor cost is no longer a key factor in deciding where to produce and apparel production itself is no longer labor-intensive at all? Although automation of apparel production was not achieved in the 20st century, it may not be something totally impossible in the 21st century. We need to have bold thinking here.